MSG can cause allergies. Monosodium glutamate or MSG is commonly used as a flavoring various dishes. However, the use of MSG as a food additive has the potential to cause health problems. The problem is complicated because not all foods to be labeled MSG content accurately. This is exacerbated by the almost impossibility of knowing the levels of MSG in food sold in shops or restaurants. MSG is a food additive that is commonly used as a flavor enhancer. MSG is glutamic acid that is produced from the fermentation of molasses and starch foods. Glutamic acid is actually an amino acid which is also present in the body. When tasted, tongue receptors simulate MSG like the taste of meat. Actually MSG is considered safe if consumed in moderate amounts. Only consumption of uncontrolled amounts that potentially dangerous to health. Some people are sensitive to MSG generally will experience side effects such as headache, nausea, chest pain, rapid heart rate, and sleepiness. For those with a higher tolerance, side effects generally occur one hour after taking at least 3 grams of MSG on an empty stomach. Many experts argue MSG accumulated over the years can lead to various diseases including obesity, Alzheimer's, and other chronic diseases. 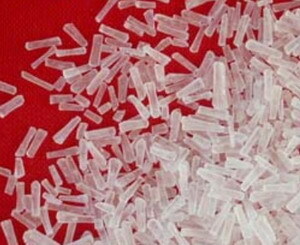 Some people may experience short-term adverse reactions after consuming MSG. Reported allergy symptoms after consuming MSG include heart palpitations or chest pain, headache, shortness of breath or asthma attacks, the pressure on the face, nausea, and weakness. MSG allergy can also cause skin irritation like redness and sweating, burning, and numbness or tingling around the mouth. 1. To prevent the allergic reaction. MSG allergy sufferers must strictly avoid foods that contains MSG as a component. They should not eat in Chinese restaurants because MSG is widely used in various Chinese cuisines. While purchasing processed meats or canned vegetables from the supermarkets,you must read the label carefully to check if it has MSG or not. 2. Cream of Tartar. Keep a small container of cream of tartar nearby. When mixed with water, cream of tartar will immediately neutralize MSG poisoning, relieving most symptoms. Cream of tartar creates an alkaline-forming environment when ingested, raising the blood pH and stabilizing the system. Mix 1/2 teaspoon in eight oz. of water and drink, or sprinkle some in a small bottle of water, shake and drink. 3. Homeopathic MSG. A homeopathic remedy is available made from MSG, and is useful to antidote the effects of the toxin, relieving most symptoms. Place one or two tiny pellets in a 1 oz. brown dropper bottle. Fill half way with distilled water and top up with vodka. Label the bottle. Grip the bottle in one hand and slap the bottom of the bottle against the palm of your other hand firmly but not hard enough to break. Slap it five times, open the bottle and take a sniff if you're experiencing symptoms from consuming MSG. Replace the lid. This is called an olfactory dose. Take one or two doses for relief. If symptoms persist, contact a homeopath or other natural health practitioner for further treatment. 4. Drink water. Drinking plenty of water after consuming food with MSG, will help flush MSG out of the body. 5. Minor symptoms such as headache and skin rashes are observed that usually subside within 2-3 hours and do not require any MSG allergy treatment. But, serious symptoms like breathing difficulty or chest pain suggest that large amount of MSG has been consumed and it requires immediate medical care. In some serious cases, some blood tests are also performed. 6. Antihistamine medicines are most widely used for treating MSG allergy. These medicines have the ability to counter the effect of histamines released due to an allergic reaction. 7. Anaphylactic patients mostly require hospitalization and their condition is closely monitored. Epinephrine is first given to these patients for an immediate relief from its symptoms. It helps to open up the breathing passage by dilation of the breathing tubes and normal breathing is restored. Moreover, it constricts the blood vessels and raises blood pressure. It can be administered in two different ways. Injections are given to serious patients while others with asthma or shortness of breath are given epinephrine inhalers. Some of these patients who cannot breathe properly are given oxygen through a tube or face mask. Those with severe respiratory trouble have to be kept under mechanical ventilation for a short span of time. Saline solutions are also administered intravenously to raise their blood pressure.